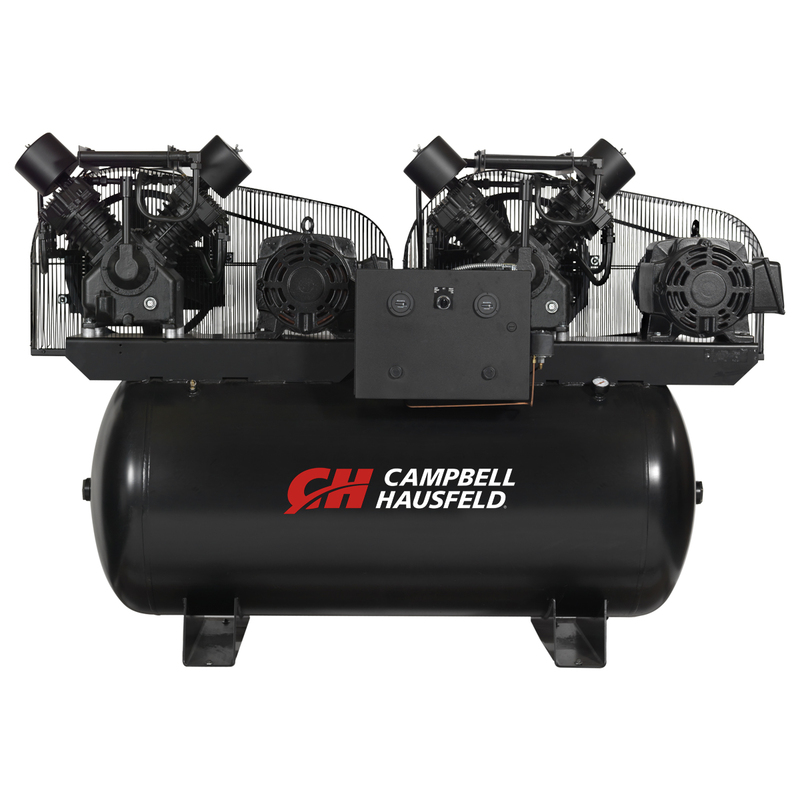 The Campbell Hausfeld 200-gallon, 30 hp (15 hp x 2), horizontal, two-stage, duplex air compressor (CE8203) is ideal for auto repair facilities, tire repair outlets and small manufacturing facilities. 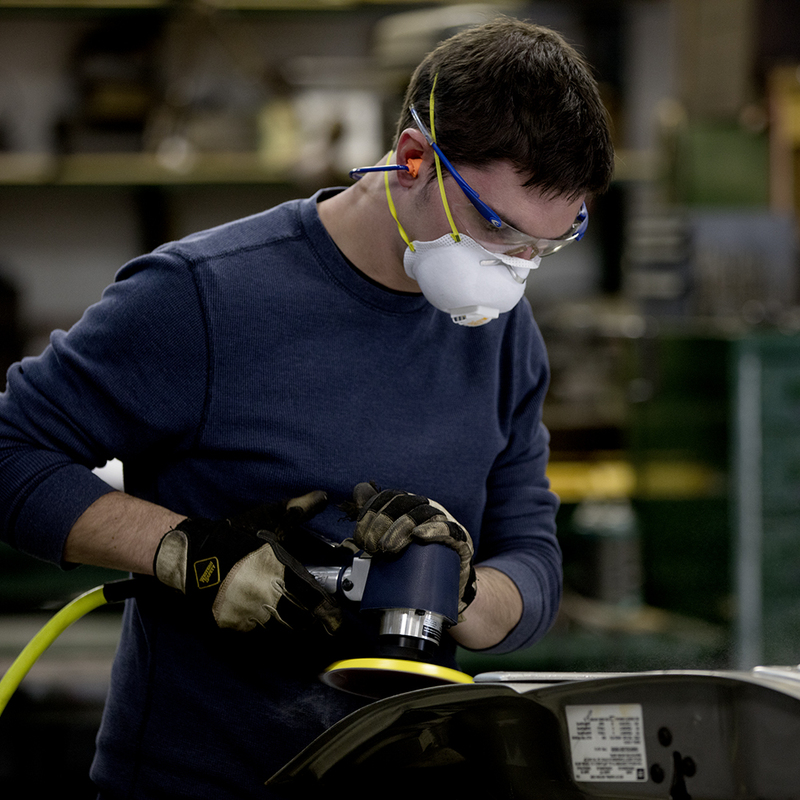 This air compressor has a high air flow of 104.8 CFM @ 90 PSI to power multiple, high-demand air tools. Two industrial-rated NEMA motors operate on three-phase electrical power, each driving a separate long-life, cast-iron, two-stage pump that’s designed to deliver more than 15,000 hours of operation. Each motor/pump combination can operate independently or both motor/pump combinations can operate simultaneously depending on the load, helping to reduce power consumption while maintaining capacity. The air compressor can be directed to alternate loads between each motor/pump combination to evenly distribute wear and contribute to longer life.